Daimler announced that by 2030 it intends to purchase lithium-ion batteries for electrified cars at a total volume of €20 billion ($22.8 billion). The deals seems to be signed, but the German manufacturer didn't disclose which companies it would buy from. We could only assume that's because at this scale, there are several suppliers (safe bet is LG Chem and SK Innovation). The number of electrified cars (hybrids, plug-in hybrids and all-electric) sold under Mercedes-Benz and smart will increase to 130 by 2022 (plus vans, buses and trucks). By 2025, the company expects that all-electric cars alone will be responsible for 15-25% of its total sales volume. 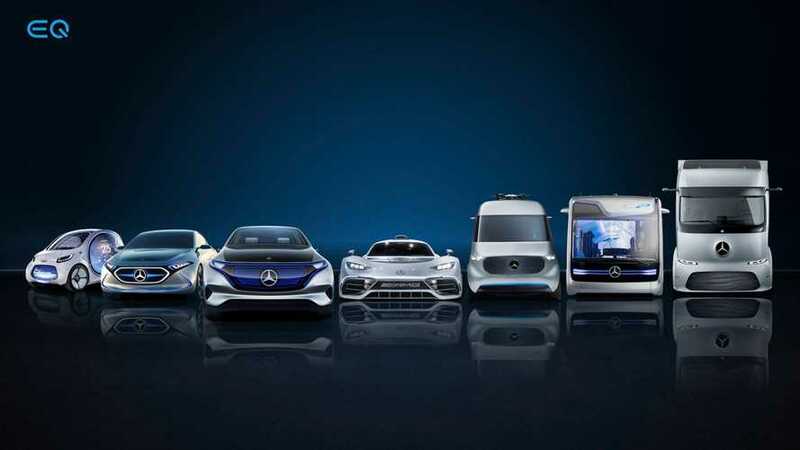 Daimler invest some €10 billion in electrification of Mercedes-Benz cars, as well as €1 billion in the global battery pack production network. "“With extensive orders for battery cells until the year 2030, we set another important milestone for the electrification of our future electric vehicles of the EQ product and technology brand. In this way, together with our partners, we ensure the supply of our global battery production network today and in the future using the latest technologies," says Wilko Stark, Member of the Divisional Board Mercedes-Benz Cars, Procurement and Supplier Quality since October 2018. The suppliers are already producing battery cells in Asia and Europe and are continuing to expand in Europe and additionally in the USA." Consistent implementation of the CASE corporate strategy. Wilko Stark, Member of the Divisional Board Mercedes-Benz Cars, Procurement and Supplier Quality: “With extensive orders for battery cells until the year 2030, we set another important milestone for the electrification of our future electric vehicles of the EQ product and technology brand. In this way, together with our partners, we ensure the supply of our global battery production network today and in the future using the latest technologies." The Human Rights Respect System creates a systematic approach to respect for human rights in sustainable supply chains. A prerequisite for a supply contract is consent to the disclosure of the entire supply chain. “With extensive orders for battery cells until the year 2030, we set another important milestone for the electrification of our future electric vehicles of the EQ product and technology brand. 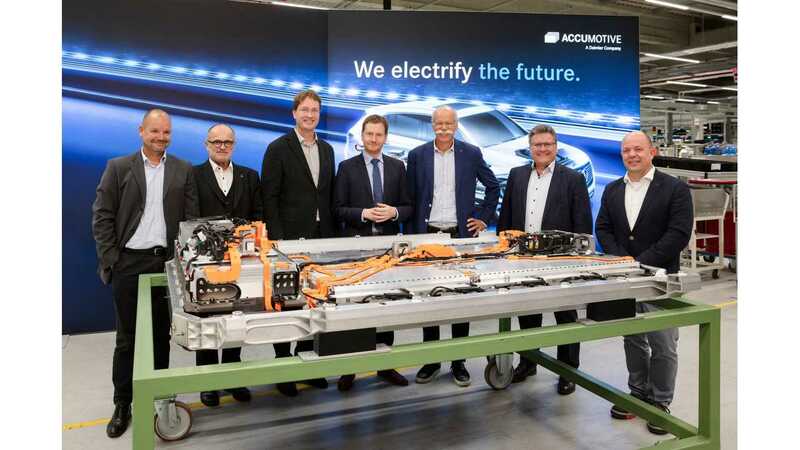 In this way, together with our partners, we ensure the supply of our global battery production network today and in the future using the latest technologies," says Wilko Stark, Member of the Divisional Board Mercedes-Benz Cars, Procurement and Supplier Quality since October 2018. The suppliers are already producing battery cells in Asia and Europe and are continuing to expand in Europe and additionally in the USA. Daimler is investing more than one billion euros in a global battery production network within the worldwide production network of Mercedes-Benz Cars. The company purchases the cells on the world market. This ensures the best possible technology and focuses on the core competence of battery assembly. The global battery production network of Mercedes-Benz Cars will in the future consist of eight factories on three continents. The first factory in Kamenz is already in series production and the second factory there will start series production at the beginning of 2019. Two more factories will be built in Stuttgart-Untertürkheim, one at the company’s Sindelfingen site, and one each at the sites in Beijing (China), Bangkok (Thailand) and Tuscaloosa (USA). The local production of batteries is an important success factor in Mercedes-Benz Cars’ electric offensive and is decisive for meeting the global demand for electric vehicles flexibly and efficiently. As an integral and important element of our electrical strategy. Competences for the technological evaluation of cells as well as research and development activities will be consistently expanded. These include the continuous optimization of the current generation of Li-ion systems, the further development of cells bought on the world market and research of the next generation of so-called post-lithium-ion systems. By 2022, the entire Mercedes portfolio is to be electrified, with various electrified alternatives available in every segment, from the smart to the SUVs. In total, there will be well over 130 variants, from the 48-volt electrical system to EQ Boost and plug-in hybrids and more than ten all-electric vehicles powered by batteries or fuel cells. By 2025, sales of battery-electric vehicles are to increase to 15-25 percent of total unit sales – depending on individual customer preferences and the development of the public infrastructure. Daimler has been gaining experience with electric trucks since 2010 and has had its first all-electric truck in series production on the market and in customers’ hands since last year: the Fuso eCanter light-duty truck. The all-electric eActros for heavy-duty distribution transport has also been proving its worth on Germany’s roads since June 2018. In September, Mercedes-Benz Trucks handed over the first of a total of ten eActros trucks of the so-called innovation fleet to a customer for use in everyday operations. Series production in the bus segment began in autumn this year and the first Mercedes-Benz eCitaro was recently delivered to Hamburg’s public transport operator – Hamburger Hochbahn AG. Mercedes-Benz Vans electrifies its entire commercial fleet. It starts with the all-electric mid-size van eVito, which has been delivered since November 2018. The eSprinter will follow in the second half of 2019. At the same time, Mercedes-Benz Vans thinks beyond the vehicle and, together with the customers, develops an overall system solution for the respective vehicle fleet. Two examples for the close integration of the customer perspective are the pilot projects with Hermes and Amazon Logistics. Hermes Germany will receive 1,500 Mercedes-Benz electric transporters and the corresponding efficient charging infrastructure. Amazon Logistics takes over 100 eVito in Bochum and Dusseldorf. The vehicles from Daimler Trucks, Daimler Buses and Mercedes-Benz Vans thus provide an electrical solution for all segments in inner-city traffic. Sustainability is one of the basic principles of Daimler’s corporate strategy as well as being a benchmark for corporate success. This also includes the responsible procurement of raw materials. Daimler has therefore developed a systematic approach to respecting human rights: the Human Rights Respect System. With its risk-oriented and systematic approach, the system makes the subject of human rights manageable even along complex supply chains. Daimler attaches particular importance to a sustainable raw-material supply chain for the expected growth in electric vehicles. To this end, Daimler has been defining sustainability requirements for suppliers in its Supplier Sustainability Standards for several years. All new Mercedes-Benz suppliers are subjected to potential analyses before they are commissioned. Approximately 700 quality engineers carry out these audits, if necessary together with human rights experts in the field. A prerequisite for a supply contract with Mercedes-Benz Cars is consent to disclosure of the entire supply chain, right back to the mines. Essential elements of our requirements for suppliers relate to working conditions and compliance with human rights. The direct suppliers undertake to firmly pass on and monitor our sustainability standards within the supply chain. Responsibility for the procurement of raw materials for the production of battery cells lies with the suppliers. However, Daimler does not leave its partners alone with this task and supports them with interdisciplinary teams. Mercedes-Benz Cars already plays a leading role in all four areas today. For example, all activities in the area of connectivity are focused on the digital brand Mercedes me, which gives customers access to an extensive and personalized range of services by app, website or straight from their car. On the way to autonomous driving, Mercedes-Benz has for years been a key driver of development and has repeatedly set the benchmark. To this end, the Mercedes engineers use what is known as sensor fusion. The data from different sensors, such as cameras, ultrasound and radar, are intelligently combined and analyzed. With smart vision EQ fortwo, the smart brand is also demonstrating what driving without a steering wheel could look like in the future of carsharing. The inventor of the car is already playing a leading role in the field of Sharing & Services. The mobility services used by over 18 million people range from free-floating carsharing (car2go), through ride-hailing (mytaxi) to the mobility platform (moovel). Mercedes-Benz is pursuing a holistic approach to powertrain electrification. Apart from the EQ brand with a family of vehicles, Mercedes-Benz is also developing a holistic ecosystem, which, alongside the vehicle itself, also comprises a comprehensive electric mobility offering. This extends from intelligent services and energy storage units to charging technologies and sustainable recycling. On the road to emission-free driving Daimler is systematically pursuing a three-lane drive system strategy in order to implement maximum environmental compatibility across all vehicle classes (incl. commercial vehicles, vans) – with an intelligent mix of the latest combustion engines and partial electrification through 48-volt technology, tailor-made EQ Power plug-in hybrids and electric vehicles with battery or fuel cell drive systems. With its focus on CASE, Daimler is preparing for the intuitive mobility of the future.